Jet Process Corporation - Thin film deposition service. Specialists in gold-tin, indium and lead-free solders. 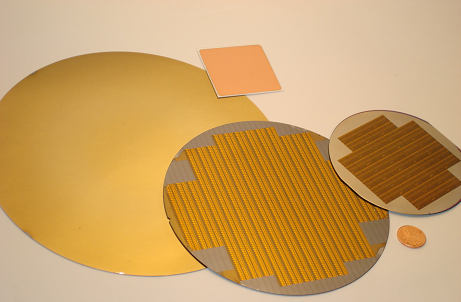 JVD™ enables innovative and otherwise unavailable thin film solutions for advanced technology applications. JVD's low temperature, low vacuum operating conditions provide high rate deposition, high utilization of source material, and is a clean, environmentally sound operation that offers many advantages over conventional thin film metalizing techniques.